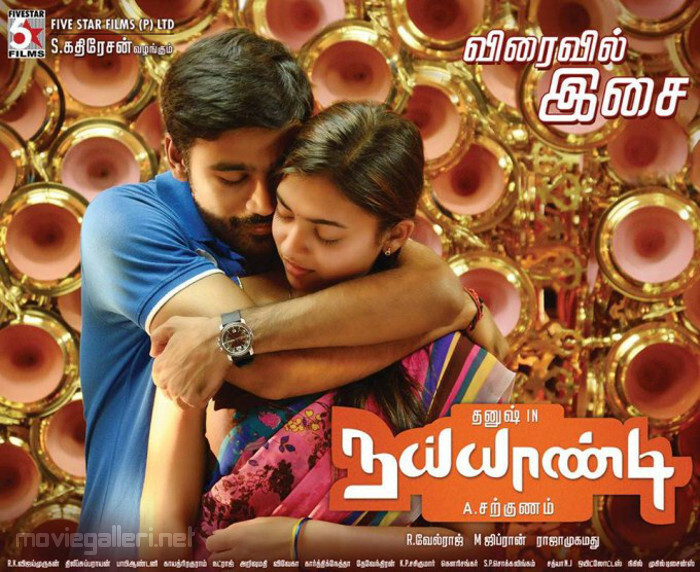 Tamil Actor Dhanush and Actress Nazriya Nazim starring Naiyandi First Look Posters. Directed by A.Sarkunam and Produced by S.Kathiresan. Music scored by M Ghibran. Cinematography by R.Velraj and Editing by Raja Mohammed.